"...a hermit of the Lebanese mountains is inscribed in the number of the blessed, a new eminent member of monastic sanctity is enriching, by his example and his intercession, the entire Christian people. 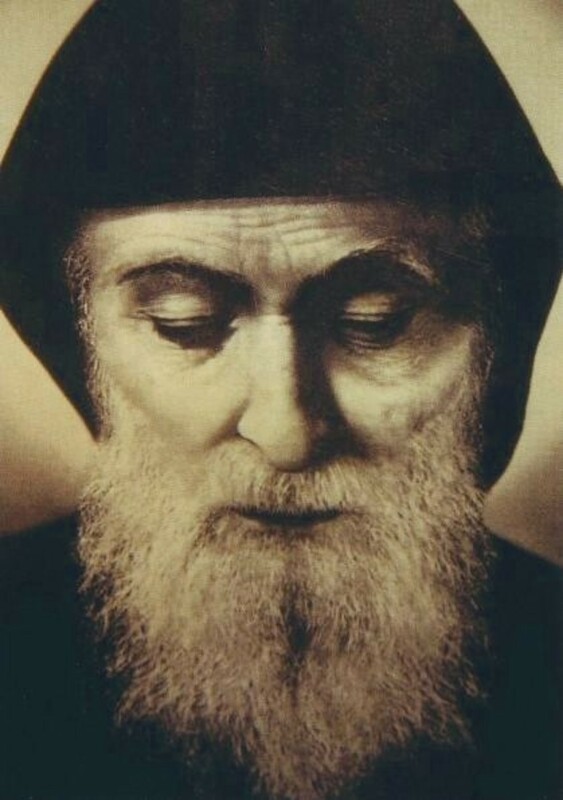 May he make us understand, in a world largely fascinated by wealth and comfort, the paramount value of poverty, penance, and asceticism, to liberate the soul in its ascent to God..."
St. Charbel Makhlouf (1828 – 1898) was a Maronite monk and priest from Lebanon, known during his life and after his death as a saint, mystic, and a great miracle-worker. He is known for his holy wisdom, gleaned from a life of penance, deep prayer, and silence and he taught prophetically of the importance of the family in the spiritual warfare of the modern age. "The family is the basis of the Lord’s plan; and all forces of evil are focusing all their evil on destroying the family because they know that by destroying the family, the foundations of the plan of God will be shaken. Our Sorrowful Mothers Ministry is blessed to have a first class relic of the Blood of this Holy Saint. 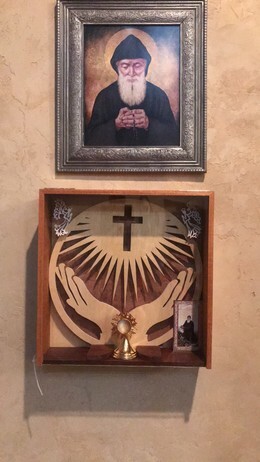 We invite you to join us for any of our upcoming retreats where you will have the opportunity to venerate and pray before the relic of Saint Charbel.